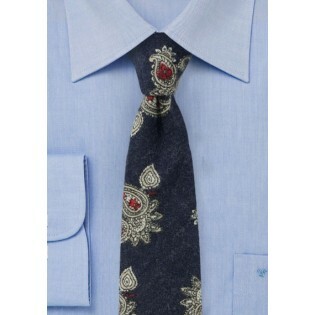 One of our favorite new Autumn ties is this dark navy paisley tie by BlackBird. Made using a matte finish and soft flannel fabric this handsome accessory will add some vintage touches to any dressy outfit. 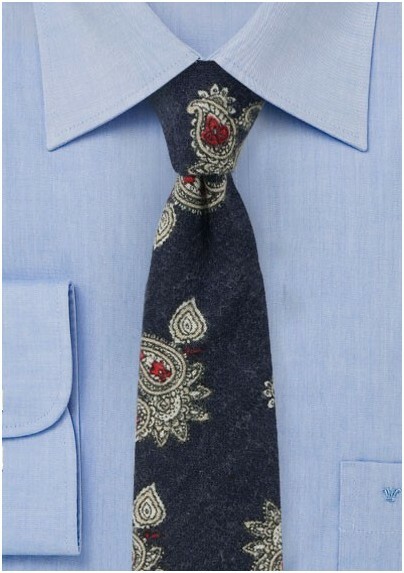 While great for business attire, we also loved this tie for a rustic inspired wedding them when worn with tween vest or leather suspenders. Handmade using only the finest flannel cottons by neckwear brand BlackBird.